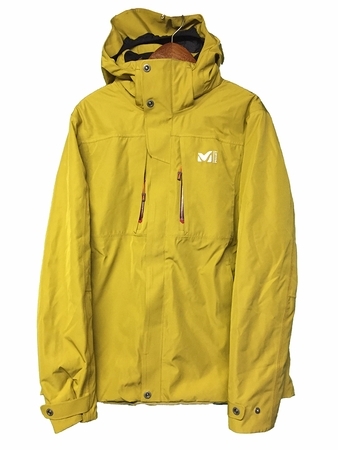 The Millet Black Mountain Jacket is an active, protective 3-in-1 jacket designed for year-round versatility across multiple mountain sports. Dryedge 2L material is the perfect balance between long lasting performance and comfort. Its structure and hand feel deliver waterproofness and comfort. The long fit is protective and covers the lower back, never leaving it exposed. This anatomical fit was studied and designed to bring maximum thermal protection. 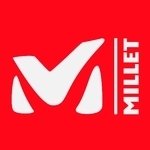 Millets commitment to environmental responsibility is essential, thus they have chosen to work with recycled and recyclable materials. Pertex Cross is made of 100% recycled polyester fibers that will, in turn, be recyclable. Lightweight, durable, abrasion resistant, windproof and water resistant. High quality thermal pieces deliver efficiency using Primaloft insulation. Primaloft is a lightweight and water resistant, breathable material that will keep you warm and dry, even in the foulest weather. 13mm wide heat-sealed seams (instead of 20mm) reduce glue and band consumption in addition to gaining in breathability. This process requires expert knowledge and guarantee fully waterproof Gore-Tex shell protection. Zipped vents are openings that allow to shed heat and vapor, using a waterproof zipper that can be adjusted to let the extra heat only, or as needed. Often located under the arms or at the sides, it does not affect waterproof protection.